Lancaster Dodd: Man is not an animal. We are not a part of the animal kingdom. One of today’s most remarkable American film directors, Paul Thomas Anderson, returns with yet another majestic work, that is both visually stunning and psychologically enthralling. 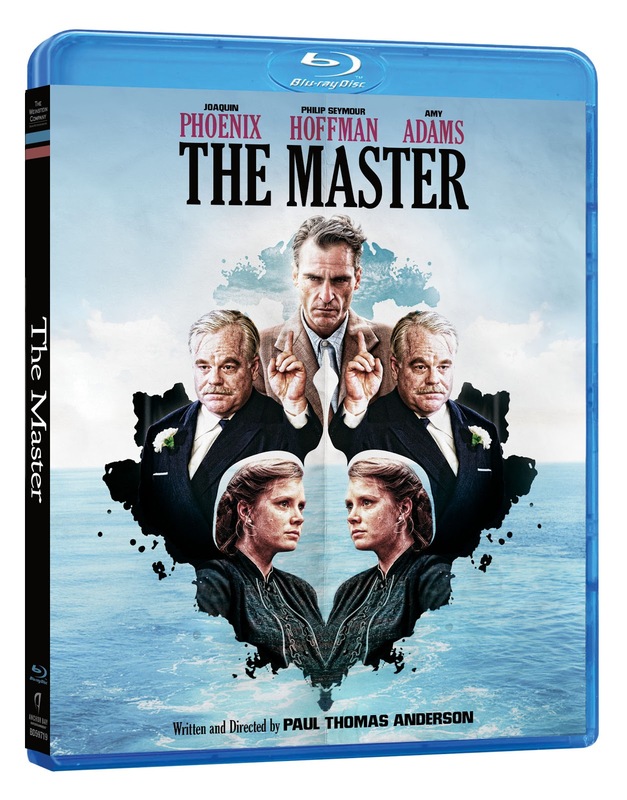 THE MASTER pits a disturbed and unhinged former sailor, just back from the war, against the intellectual and commanding leader of a budding religious group, and it is never quite clear just who is playing who. As the film lingers on in your mind after it’s done though, it becomes clear that there really only was one master all along, and that is undeniably, Mr. Anderson himself. THE MASTER marks a very welcome return to narrative filmmaking for Joaquin Phoenix, who plays the aforementioned sailor, Freddie Quell. He struggles to find his path as he attempts reintegration into society after WWII, drifting from one pointless job to the next, as he inevitably makes a mess of each opportunity he’s given. He is prone to aggressive and violent outbursts and thanks to Phoenix’s stone cold expression, it is near impossible to tell whether he intentionally means to lash out or whether he truly cannot control himself. While lost on land, he finds himself again at sea, on a boat commandeered by one Lancaster Dodd (Philip Seymour Hoffman), the aforementioned, and self-proclaimed, religious leader. Dodd has founded The Cause and aims to integrate Quell into his fold by healing the demons of his past. Much to Dodd’s dismay though, some demons cannot be tamed. The Cause is a religion founded in the 1950’s that helps its practitioners return to their true selves through a series of exercises designed to conquer the lingering effects of past trauma. Anderson insists that The Cause is not a thinly veiled attempt at criticizing the controversial religion known as Scientology, but that just doesn’t ring true. Scientology was also formed in the 1950’s and also employs similar methods, known as auditing, which essentially accomplish the same task I just described. It seems silly to look at THE MASTER as anything other than a judgmental look at Scientology really. While it is a fascinating character piece, as Anderson’s films generally are, Dodd’s difficulty rehabilitating the deranged Quell, points to undeniable flaws in his system. If all mankind is eternal, then we should all be able to find our way back from our animalistic behaviour and toward our true, honest selves. 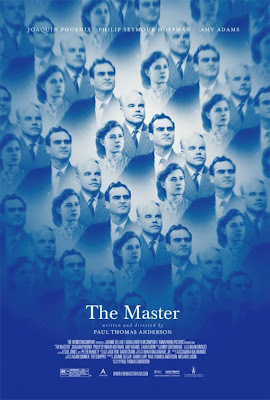 As technically perfect as it is, THE MASTER is the least emotionally engaging film of Anderson’s I’ve seen. I was so locked in on a cerebral level, overwhelmed by the brilliant cinematography (presented in 70MM and shot by Mihai Malaimaire Jr.), another obscurely melodic score by Jonny Greenwood (Radiohead, THERE WILL BE BLOOD) and unforgettable performances from actors at the top of their game (including Amy Adams, as Dodd’s submissive yet dominant wife, Peggy Dodd). Still, I was somewhat taken aback when it ended. I felt as though there was more to this story that had yet to be told. Repeat viewings will likely prove me wrong, as Anderson is in full control of his facilities, but for all its prowess, THE MASTER left me a little cold. Anderson may be a true movie making master, but if he relinquishes just a little bit of control, he might unleash a genius we have never known the likes of. Hell, if he does that, he may even lead his own religion some day. I know THE MASTER is a bit too obscure for mainstream audiences but why it was not more celebrated than it was by the filmmaking community, I cannot understand. I expected that Paul Thomas Anderson’s visual masterpiece would have been feted all the way through awards season but even the technical communities failed to embrace it. I’ve now seen the film three times and it only continues to draw me into its complicated web with each viewing. The more I allow Malaimare Jr.’s unbelievable cinematography to wash over me, or Greenwood’s disconnected score to throw me off guard, the more I find myself understanding the numerous layers to Anderson’s genius. And then again, every time I feel closer to the meaning of THE MASTER, I am almost immediately faced with another fascination to focus on. I recently named Joaquin Phoenix and Philip Seymour Hoffman Mouton d’Or winners for their mind-blowing performances, and THE MASTER itself as the best film of 2012. And now that awards season is officially behind us, it is time to give THE MASTER the attention it is long overdue. And now? While I know what I felt when I wrote that, repeat viewing has since clarified what that feeling of disconnectedness actually was. THE MASTER may not have any clear arch that allows for any of the characters to grow significantly in the time we’re with them, but that only adds to the story’s authenticity. I may not feel emotionally engaged with the characters but that could be in great part because they are hiding inside of themselves as it is. The manner in which Anderson frames this world may be extremely technical but the path he chooses to follow is entirely organic. One of the central themes in the film is about the suppression of one’s more animalistic behaviour. The meticulousness of this film’s execution contrasted with the explosiveness of all the performances further solidifies that point. SPECIAL FEATURES … THE MASTER extras are fittingly obscure but I appreciate the effort to keep things interesting. The “Behind-the-Scenes” feature is about ten minutes of on location set footage. There is no guide to the tour, just a special vantage point for fans of the film. The deleted and extended scenes are cut together like a short companion piece film to the feature that actually sheds new light on the characters and storyline that make the film all the more fascinating. And perhaps the most bizarre inclusion is the John Huston documentary, “Let There Be Light”, which was produced for the U.S. Government in 1946 and showcased 75 soldiers who had come back from WWII with severe psychological problems. Within minutes of watching this documentary, the influence on THE MASTER is clear. One can only presume it is included here for that reason because Anderson did not record a commentary track for the film. How many sheep would you give The Master?